I’m sure that I’m not the only person who made sand art projects growing up. These works of art involved layering colored sand inside glass jars or other containers to make eye-catching patterns. The unexpected layers made those simple art projects beautiful and the same layered look is what makes cookie mixes packaged in glass jars equally attractive. I’ve tried a few before, but couldn’t resist giving the Million Dollar Cookies from Sisters’ Gourmet a tryÂ – after all, that is a name that is hard to pass up! I’ve seen these cookie mixes at Target, on Amazon and at a few other specialty retailers. Their packaging may look slightly different from retailer to retailer, but the ingredients in the premium mixes are the same. The million dollar cookies are a chocolate oatmeal cookie that is packed with chocolate chips for a double dose of chocolate in every bite. The mix is very easy to use: simply combine the contents of the jar with softened butter, an egg and a little vanilla extract, then mix until combined. The mix is packed very firmly in the jar, so you might need to slide a knife down the side to loosen things up (I did) and encourage the mix to slide out. Make sure that your butter is very soft and that your egg is at room temperature before you start to mix, as cold butter won’t blend easily; room temperature ingredients will help the dough come together quickly. The cookies bake up to be slightly crisp at the edges, with a soft and tender center. They’re not overly chocolaty, so you can still taste the oatmeal in every bite, and actually remind me a lot of hot chocolate. I paired mine with milk, but now that I think of it, I suspect they would be even better with hot chocolate. 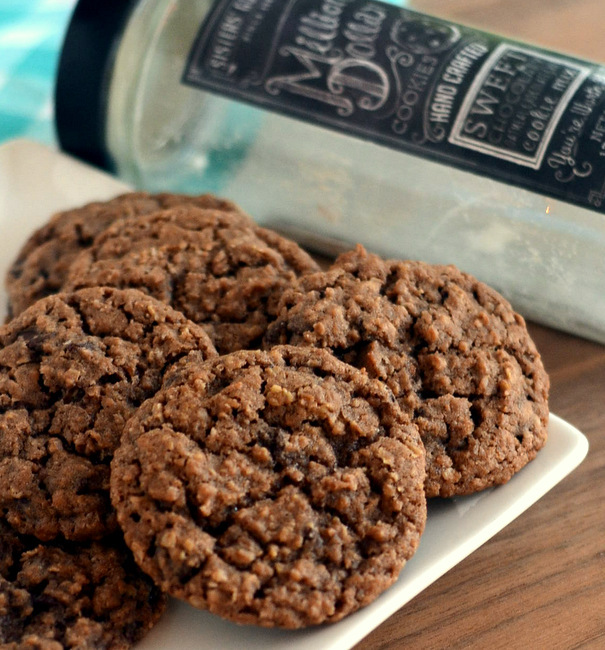 It’s a good mix and the cookies taste just like homemade cookies should. Is it a million dollar recipe? I’m not so sure about that – but I would absolutely eat them again! 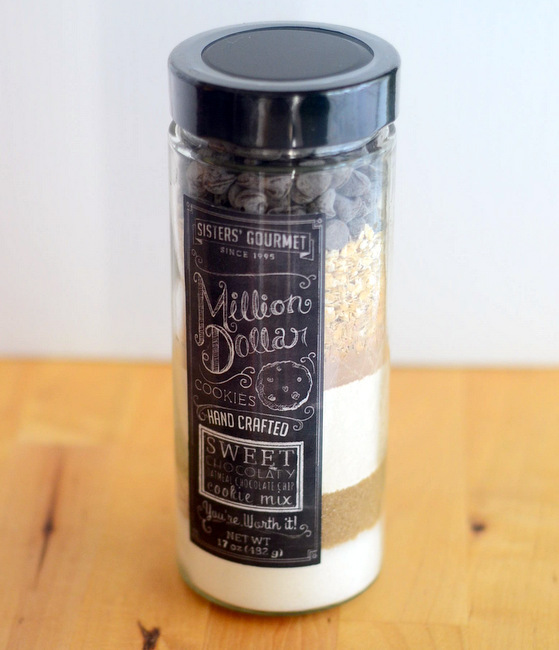 The mix is a bit pricier than what you’ll find at the grocery store, but the results are worth it andÂ the attractive packaging makes this a great gift item.